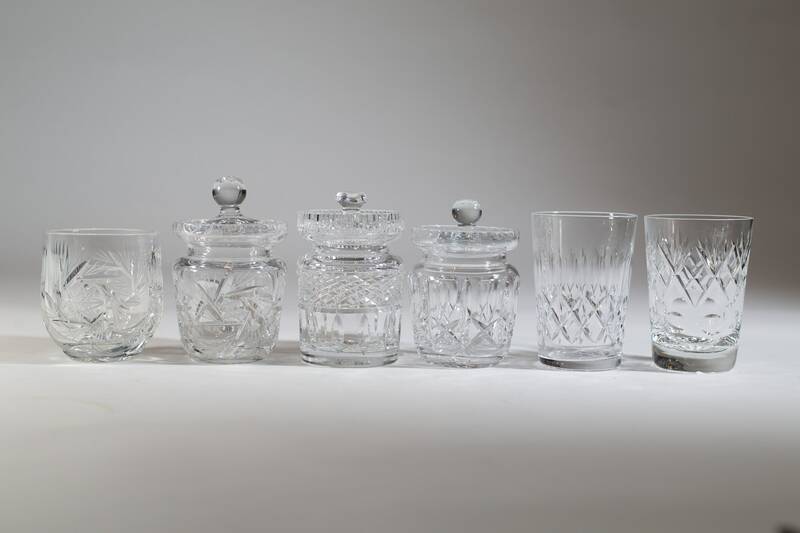 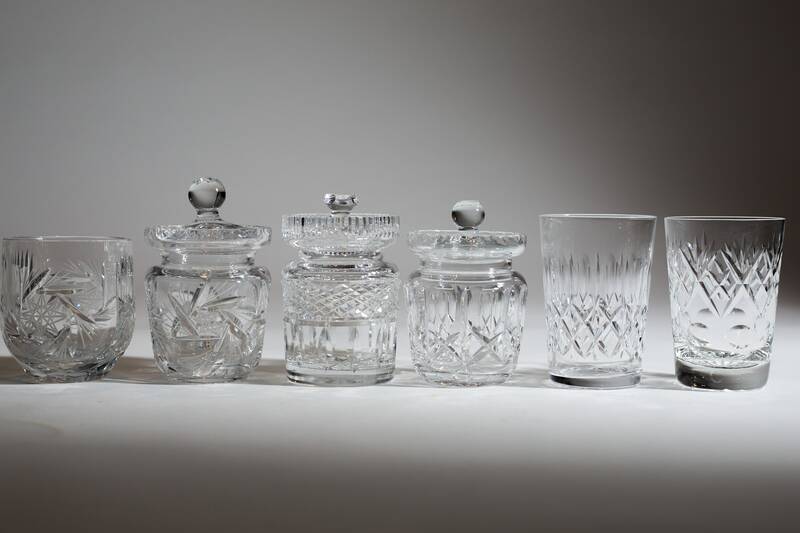 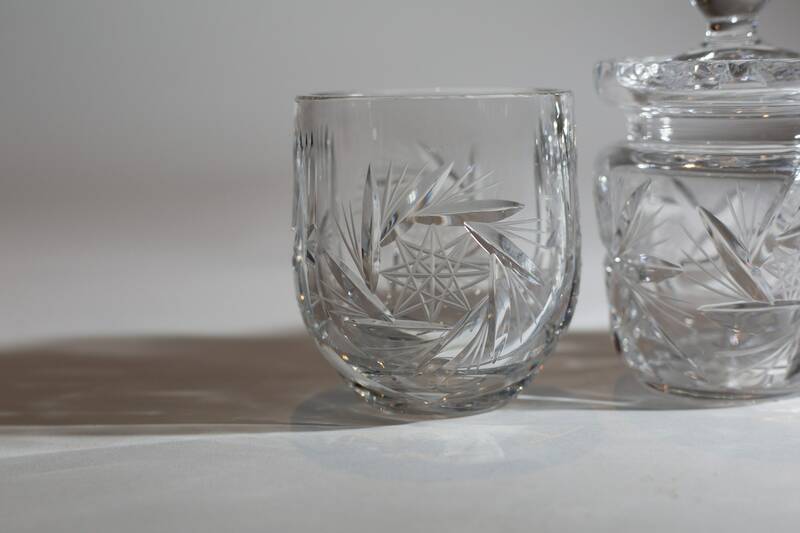 This is a fantastic set of 6 crystal glassware! 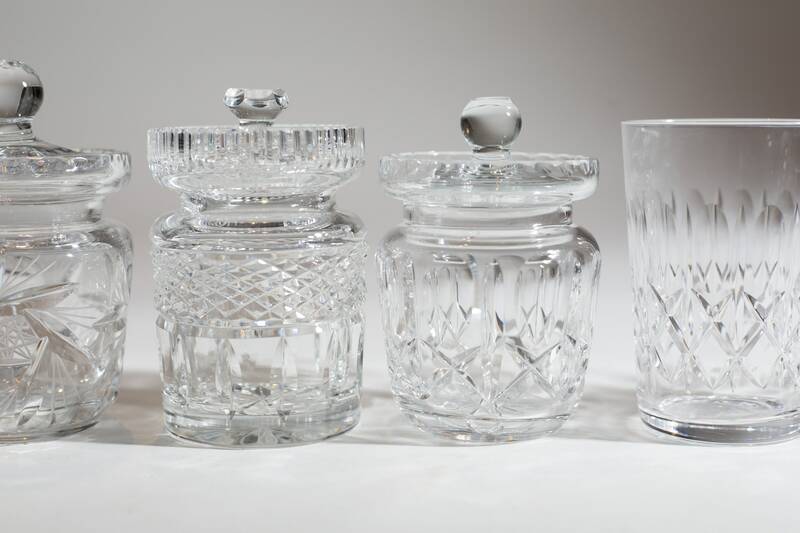 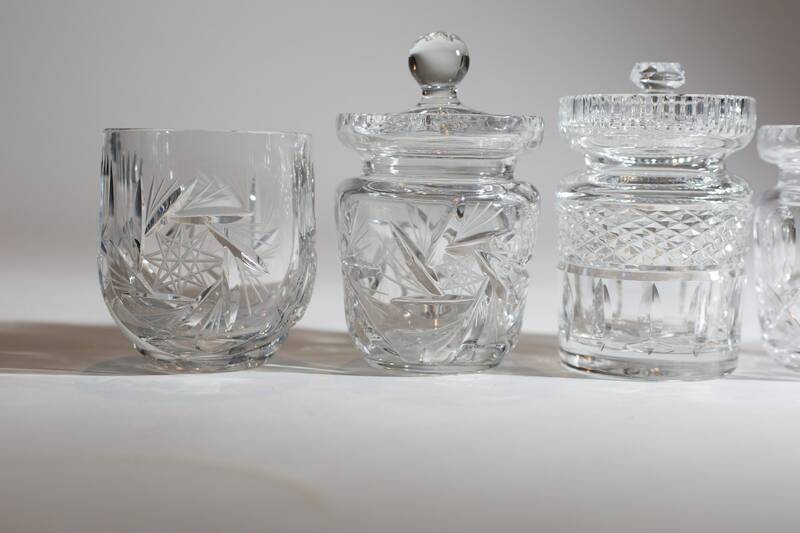 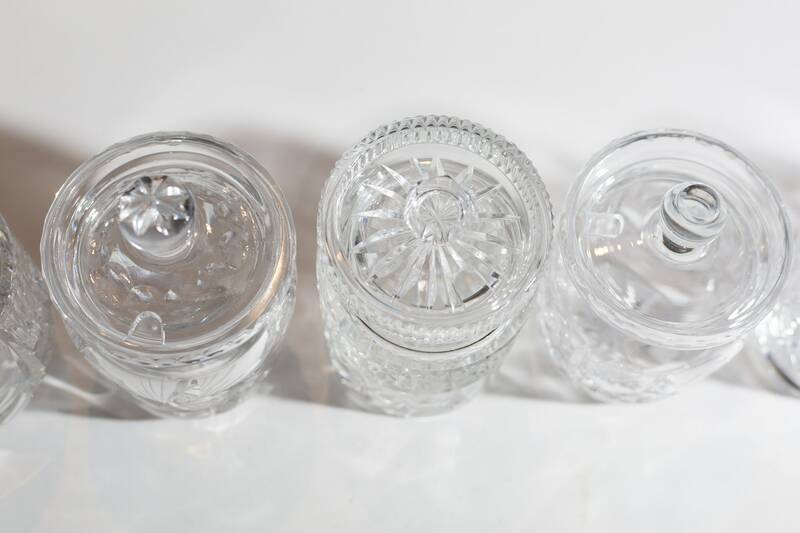 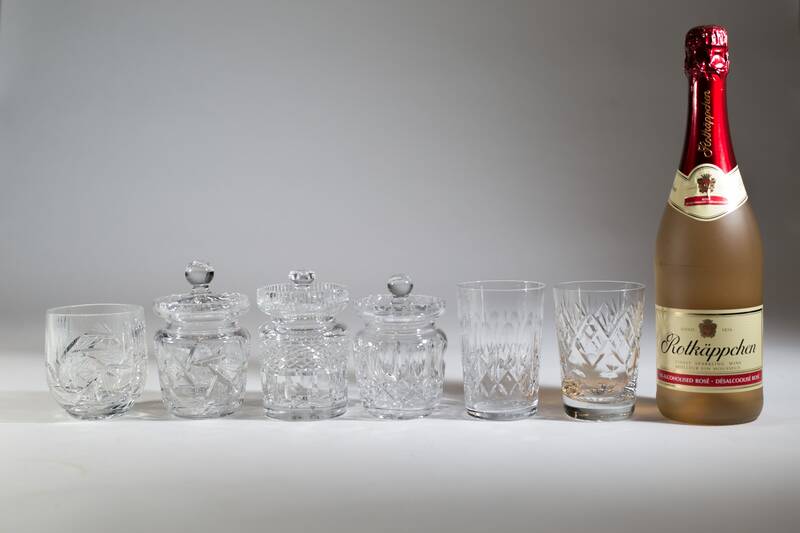 Includes a thick pinwheel cut whiskey glass with rounded base, 3 condiment jars with spoon slots (one with cross and olive cut pattern, one with pinwheel, one with diamond cut pattern), and two cocktail glasses with cross and olive pattern. 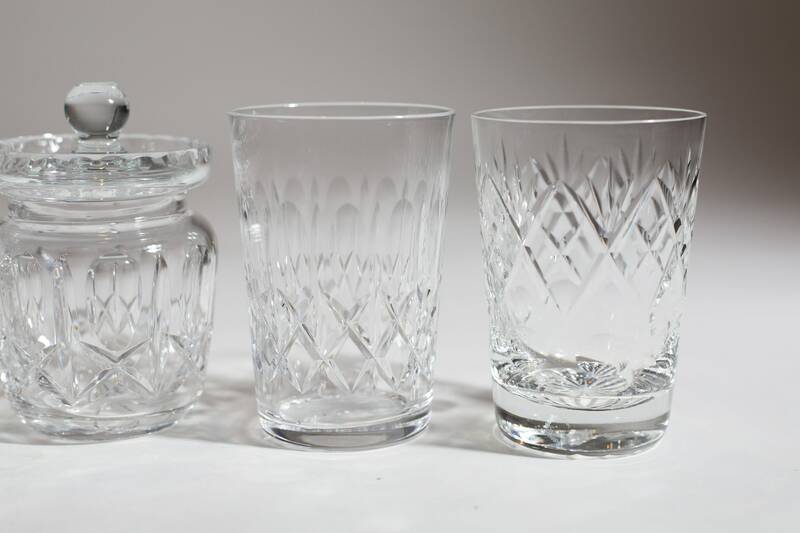 height: roughly 5 inches each.